Are Certain Months Better to List Your Home for Maximum Results? 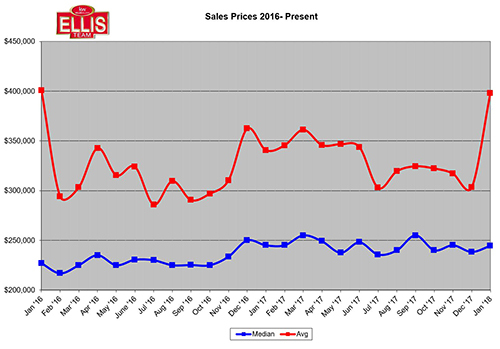 As you can see from the graph, listings pick up each year around October. In 2016 it started in September, but only modestly. As a seller, you have a distinct advantage of being on the market in August and September over those that enter the market in October. With limited choices for buyers, they are forced to scoop up homes that meet their criteria quickly for fear of losing out to other buyers. This fear disappears when more listings enter the market. In fact, when buyers lose their fear of missing out on a home, they become indifferent. When this occurs, we know we’ve hit a pricing plateau and buyers have turned off. The market must re-balance itself, and correct. The sellers that react and respond quickly get out. The sellers that do not, linger on the market wondering what it’s going to take to sell their home. Thankfully we don’t have that market right now. Buyers are motivated because many sellers have made price corrections. Interest rates are rising, and it’s costing buyers to wait. They need a home, and they want one now, within reason. Buyers aren’t acting stupid today. They are educating themselves, studying the market, and acting when they need to. And this is precisely why sellers who are on the market in August and priced correctly have a distinct advantage to sellers who wait until October. Ask yourself two questions? When is the best time to sell an item? The answer is when there are fewer items on the market. When is the best time to purchase an item? This answer is when there are more items to choose from. It’s simple supply and demand. The listings are coming, we know this for sure. It happens every year. If you’re a seller contemplating a sale, wouldn’t it make sense to beat the seller rush and put your home on the market now? Buyers are out there, and they’re motivated. Many buyers are frustrated because they can’t score a deal. They’re getting beat out by other buyers and watching home after home come off the market while they have none. They need a home, they’re watching rates go up, and yet they can’t catch a break. Sellers can take advantage of this mismatch, but time is running out. Soon, other sellers will have the same idea and place their home on the market, and you lose your advantage. Oh, you can still sell in October-December. It’s just more fun when less sellers are competing with you. Imagine being a high school girl waiting for a guy to ask you to prom. Wouldn’t it be nice if there were 5 girls in the class and 30 boys? You’d practically have your pick of which offer to choose. You wouldn’t settle for the 1st offer if it wasn’t right, because you know better options are a moment away. It wouldn’t be so good for the buys though. Only 5 would get dates, and the other 25 would be waiting for a new girl to move to town. This is what it’s like in August in the SW Florida housing market. Buyers are looking. Supply is limited in certain price ranges. Our team is having another record month in August. We need more listings. Our marketing is working. If you’re thinking of selling anytime soon, we should probably talk. Call Brett or Sande Ellis 239-489-4042 Ext 4. 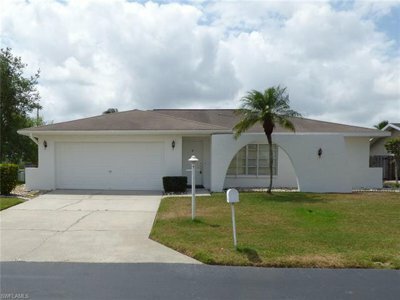 Or visit www.SWFLhomevalues.com to get an instant free idea of what your home may be worth. Let us show you how we can save you thousands on your next transaction! 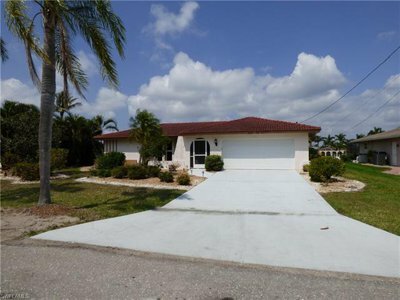 Posted in Cape Coral, Cape Coral Real Estate, Fort Myers Beach, Fort Myers Real Estate, Gated Community, Open House, Southwest Florida Real Estate. All Realtors are not the same. Who you work with matters. In fact, it can cost you thousands to use the wrong agent. People don’t realize this until it’s too late. Here are some tips on how to select the best real estate agent on your next transaction, and why it’s important. 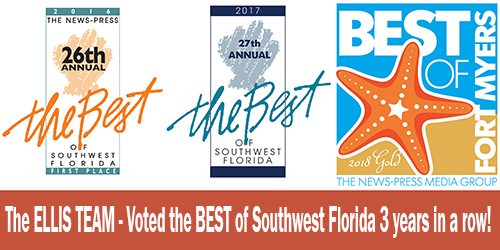 The Ellis Team at Keller Williams Realty was just awarded the best team in SW Florida by the News Press readers for the 3rd straight year, so hopefully we have some good ideas on what to look for in an agent for you. Full-Time-We believe working with a full-time agent is critical. It’s difficult enough keeping up with all the education requirements, regulatory and legal changes, and ever-changing inventory. A part-time agent just can’t keep up. You have to wonder about the agent’s commitment level to the profession when they only devote part-time to it. Experience-There is no substitute for experience. An agent develops a reputation in the community, both by consumers and by fellow agents alike. Trust plays a big part. If other agents trust your agent, they’re more likely to accept your offer as your agent puts their reputation on the line on each deal. They are trusting that we are experienced and know how to handle our customer. If an agent gets the reputation of not being able to properly educate and counsel their customer, agents are less likely to want to take deals from them in the future. 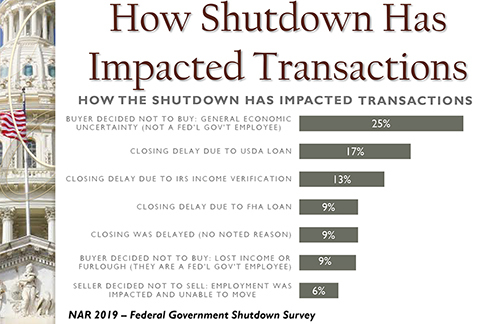 Newer agents combat this because experienced agents know newer agents may lack the skills necessary to successfully navigate a deal all the way from contract to closing. At the very least, newer agents should be in daily contact with their broker and/or mentor to assist them. Negotiating-Every agent thinks they’re a great negotiator. Negotiating skills take lots of education, and lots of practice. It doesn’t happen overnight, and it’s not true just because you think it’s true. Every singer on American Idol believes they’re great, and some of the best episodes are watching those that believe they’re great, and clearly, they are not. It will cost you to hire an amateur that thinks they’re the next American Idol. Marketing– If you’re selling, you want an agent that’s willing to invest their own money into your advertising. If they’re going to collect a commission from you, you want someone who’s invested along with you. Not only does marketing work, it shows commitment. If they’re not willing to spend money on your listing, it tells you their degree of confidence in selling your home. Ask to see the marketing plan and compare against other Top marketing plans out there. There is a huge difference in marketing that will become apparent to you if you interview the right people. Track Record– Compare track records of the agents you interview. Ask to see their sales in the past year. How many listings did they sell? If they only work with buyers, they may not have the experience necessary to successfully represent a seller. There is a lot of ground-work that needs to be done, like obtaining rules and regulation, HOA docs, financials, disclosures, etc. And all this before we even begin talking about pricing strategies. Company-Each company has its unique set of benefits. Are you looking for a boutique company, or an International powerhouse with connections all over the world? How many referrals does the company receive each month from out of town? Does the company advertise outside the area? All questions you want answers to. In summary, buyers and sellers want someone they can trust and someone that will dedicate their time and experience to helping them. They want attention, diligence, knowledge, experience, and honest feedback. Hire an agent who is strong enough to listen to you and tell you you’re on the right track, or another track is necessary for success. 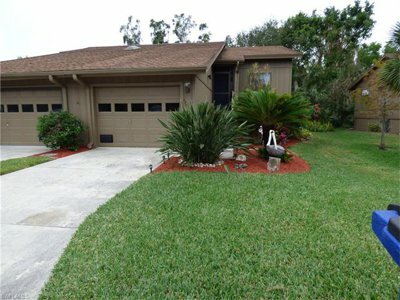 If you’re looking to list your home, please call Sande or Brett Ellis 239-489-4042 Ext 4. Our team of buyer agents can help you purchase as well. 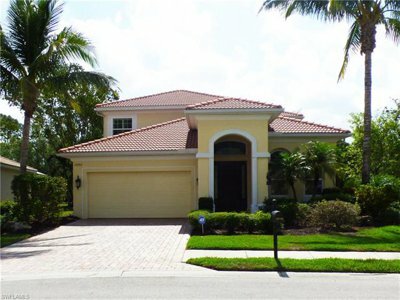 Or visit www.LeeCountyOnline.com for the best real estate website in SW Florida. 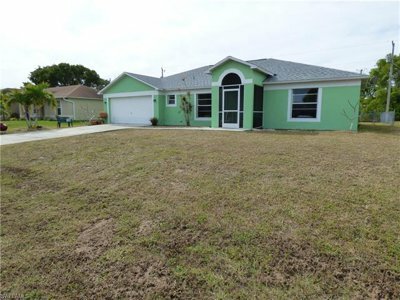 Posted in Cape Coral, Cape Coral Real Estate, Fort Myers, Fort Myers Beach, Fort Myers Real Estate, Gated Community, Open House, Reflection Lakes, Southwest Florida Real Estate. As real estate agents I think we tend to forget that people really don’t know how to sell their home. What seems basic to a veteran agent is not basic to all, and even many newer agents don’t know all the best tips. 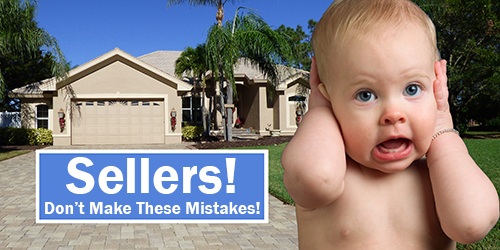 We decided to cover 8 seller mistakes when putting home on the market. Don’t be present for showings. If you absolutely must be home for showings, don’t say a word. Take a walk, drive around the block, or anywhere you can to avoid conversation with the buyers. Sellers believe they know their home better than anyone; therefore, they can sell it better than anyone. Be aware of the $1,000 rule. Practically every word you speak to the buyers costs you $1,000. I’d say try it, but it’ll cost you. Don’t photograph everything. There is no rule you must provide a photo of everything. Leave a little to the imagination. Make them want to get inside and see everything. Most bathrooms don’t need to be photographed, unless they are spectacular, stand out, and are a selling feature. Set correct listing price and negotiate firm. You’ll get a better sales price if you set the correct list price. Overpricing drives buyers away. You’re not going to fool a buyer today, so you might as well price correctly upfront. Buyers typically don’t want to insult a seller, so they just move on to other better values. Or worse yet, they never view inside of your home because it’s not on their radar. Select the best agent to market your home, not the least expensive. Selecting the least expensive can cost you thousands. It’s not what an agent charges that matters, it’s what ends up in your pocket at closing. All Realtors are not the same. Some agents sell homes faster and for more money. Enough to cover the difference in rate, and then some. Make your home accessible. We live in the online age. People expect fast access, both online and in person. Some buyers are buying today and won’t come back tomorrow just to see your home. By the time your home is available and picked up, they bought something else. It just repeats with the next buyer. Check with your condo or HOA. There are many required disclosures and documents you must pass on to buyer at contract. Failure to do so can cost you a sale. Get these documents upfront. It’s a pain, but you’re going to have to do it anyway, so don’t lose a buyer and get them now. Disclose defects. Better yet, repair problems so next buyer doesn’t have to deal with it. Most buyers want a problem free home. They want to move in and not have to repair a bunch of things. Their time and budget is stretched enough, and having to repair other peoples’ existing issues kind of takes the fun out of home shopping. If you don’t want to do the repair, chances are you next buyer may not either. Market your home everywhere! Newspaper, online, social media, etc. Make sure your home is target marketed to home buyers looking for what you have. Throwing a sign out there and posting on an online site won’t cut it. Everyone does that. You want to stand out. 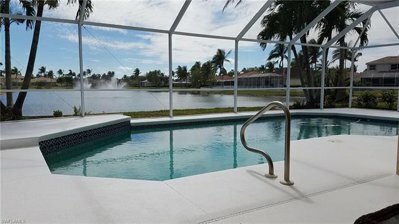 Posted in Cape Coral, Cape Coral Real Estate, Fort Myers, Fort Myers Beach, Fort Myers Real Estate, Gated Community, Open House, Reflection Lakes, Southwest Florida Real Estate, Waterfront Homes. 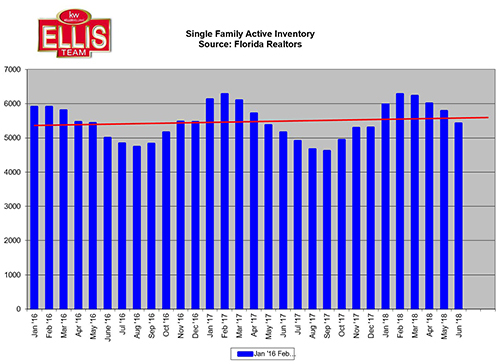 In February we reported that the housing supply in Southwest Florida stood at 5.48 months. We are happy to report the Southwest Florida housing supply declines since February, down to 5.28 months. This occurred for two reasons. Active inventory fell from 5,705 homes for sale in February down to 5,552 in late April. Closed sales in last 365 days back in February were 12,487. Today that number rose to 12,612. 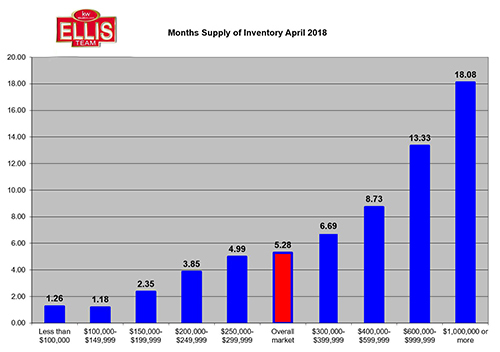 Both statistics helped reduce the months’ supply of inventory in SW Florida. Sometimes sales are low because of rising prices, and sometimes they’re low simply because there isn’t enough inventory. Inventory has grown in the last few years a bit. Closed sales fell 2.7% in March from previous year. Closed sales in February were up 10.7%, and its possible closed sales in April are up too which affects that number. We won’t have official closed sales numbers for April until late May. In almost all price ranges housing supply fell except for the $200-$250k price range, which actually grew from 3.72 months’ supply to 3.85 months’ supply. These numbers tell us our market is balanced and healthy. Most experts agree that a balanced market is around 5.5 months supply. At 5.28 months we’re right there. Of course, markets vary by neighborhood amenities, location, price range, and more. The chart shows you how each price range is faring right now. Obviously, it you have a $1 Million plus home, it will take longer to sell on average than lower priced homes. There just aren’t as many buyers as there are sellers. 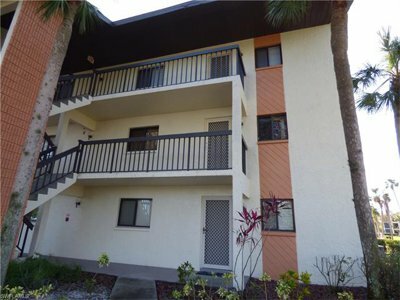 The Ellis Team just sold a $1.1 Million condo in Gulf Harbour in 122 days. It takes aggressive marketing and proper pricing to make that happen. Currently there are 6 active listings in this building and no pending sales. We’ve had a great season so far. Our sales have doubled over last year even though the Board of Realtors membership has only increased 4.3%. I’ve spoken with a few other top agents who are also having a banner year. This tells us that experienced agents who spend money advertising and have been through up, down, and sideways markets are getting it done. Experienced agents have the knowledge to navigate their sellers though any kind of market. Listing your home with a family friend, neighbor, or relative can cost you thousands on your sale, and might cost you a relationship as well. We don’t have the burden of trying to get the number you want or need. We can objectively investigate what the market is paying for your home. Then we target buyers online and through our networks to find that buyer. The days of sticking a sign out front or placing it in MLS and hoping someone will sell it are gone. To get Top Dollar you must go out and find the buyer. If you’re a buyer, you want to know how prices are performing in a community, how fiscally solid the homeowners association is, and other factors that may be influencing the market. Working with a skilled, full-time, knowledgeable Realtor is key. You won’t realize how much it costs you to hire an inexperienced agent until you run into issues, and then it will be too late. We’re keeping our eyes on interest rates in the coming weeks. If they rise it will put pressure on buyers to make a move this summer. They’ve already risen, and we believe there is room to rise much more over the next few years. Waiting to buy or sell will cost buyers and homeowners with higher rates and will put pressure on affordability. We encourage you to check out www.LeeCountyOnline.com where you can search for all the homes on MLS. Or, you can call us at 239-489-4042. Ask for Sande or Brett Ellis if you’re thinking of selling. 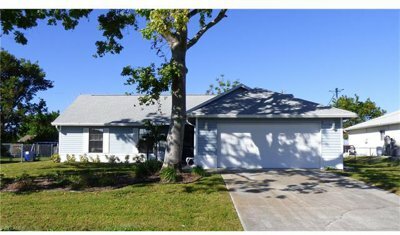 Posted in Cape Coral, Cape Coral Real Estate, Fort Myers, Fort Myers Beach, Gated Community, Open House, Reflection Lakes, Southwest Florida Real Estate. We’re hearing from a lot of sellers who are concerned that their home has been on the market awhile and it didn’t sell this season. They’re calling asking how we market homes and what they can do to get their home sold before their listing expires. 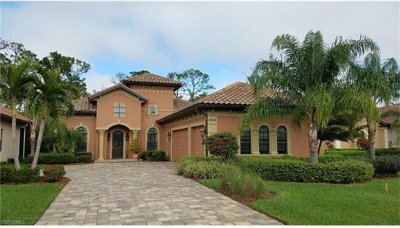 This article includes tips on how to sell your Florida home out of season. We get it. Sellers who weren’t successful are frustrated. The sellers who listed and sold are happy, and the ones who listed and sat are not. 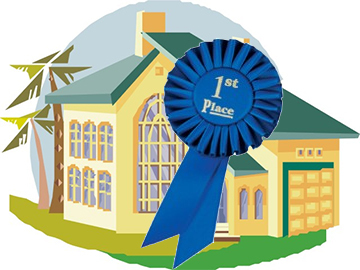 Putting your home on the market is a lot like entering a beauty contest. Even though your home is beautiful, it may get skipped over by other beautiful homes that compete more favorably. The other contestants take the prize. Two weeks pass by and another bevy of beauties hit the market before you get the chance to reduce your price. Your beautiful home never really got the chance to be the new beauty on the market. Sometimes a new beauty comes on the market and it attracts multiple offers. Before you know it, it sells for full price, maybe even more. It’s frustrating to watch other homes take the crown while yours is left standing on stage. The good news I guess is that there’s a new beauty contest upcoming, but you’ve got to make some changes, or you’ll suffer the same fate as the last contest. After awhile they’ll start asking what’s wrong with you, why are you still here? We’d like to help you avoid this madness. Before we begin, let’s just state that we too have some homes that occasionally don’t sell. When sellers take our advice, their home sells. You have to want to be the winner. Here’s our formula to win the next beauty contest. Hire the right Realtor. Not all Realtors are the same. They don’t advertise the same, have the same number of leads, or have the experience necessary to lead you through the process. You’ve seen very talented teams lose the big game due to coaching mistakes. Hiring the right coach can make all the difference. Price your home correctly. If the market doesn’t respond, adjust. The market doesn’t stand still, and neither does your competition. New homes enter the market, and existing homes make price adjustments. If you list a home and never change, you may get left on stage. Make sure your home looks as good as it can. You don’t have to remodel. Simple things can make a big difference. Talk to us and discover how certain minor changes can make a big difference in the judge’s eyes. Listen to your Realtor. If you did the research and hired the best Realtor, it’s crazy not to take their advice. If you’re not going to listen to your Realtor, I guess it doesn’t matter who you hire. Listen to the market. The market speaks to you. If you’re getting lots of showing but no offers, a small price adjustment may be necessary. If you’re not getting showings at all, you either have a large adjustment to make, or something is off with the marketing. Perhaps there is a field wrong in MLS. Is your home being advertised in the paper, online, and to other Realtors? Perhaps a highly advertised open house may be necessary. Don’t be afraid to make a change. Sometimes owners list with a friend or relative. This is dangerous because they often want to please you. They may be afraid to tell you the market has shifted, or they may miss it because of their love for you. Listing with a friend or relative can destroy your relationship. If that is your situation, give us a call. We have a way of handling this for you and getting your home sold without offending your friend. If you have a home to sell, we’d love to help you. Simply go to www.SWFLhomevalues.com and enter your address. We’ll provide you with a free online market evaluation. If you’d like to go to the next step, we can schedule a time to meet your and view your home. Or, you can always call Sande or Brett Ellis at 239-489-4042 Ext 4. Always Call the Ellis Team! We’ll get your home Sold! The value of your home is determined by what able buyers are willing to pay for your home and what the appraiser will appraise it for. It is not determined by what your neighbor down the street is asking for their home. Today we’ll explore the dangers of pricing homes compared to neighbors listing. Often, we go out on listing appointments and we give our opinion of value after studying the property and the comparable sales. It’s not unusual for a seller to say “But the home down the street is listed at X and my home is much nicer.” Then we hear the list of upgrades, and the routine maintenance items the seller has made, like trimming the bushes last week, new light bulbs, new AC in 2005, and new roof 10 years ago. All these details are important for the MLS sheet, and some are important as selling features, so don’t forget to bring anything up you feel might be important. Just don’t expect extra value for routine maintenance on your home and even some upgrades don’t provide value. It may make the home stand out against another. Some upgrades do add value. Most upgrades don’t add 100% of the cost though. I blame TV shows for painting the picture of putting $50,000 in upgrades into a home and expecting an increase of $200,000 in value. This isn’t how it works, unless you somehow bought the property for way under value. We’re watching a few neighborhoods right now where sellers are pricing compared to their neighbors. 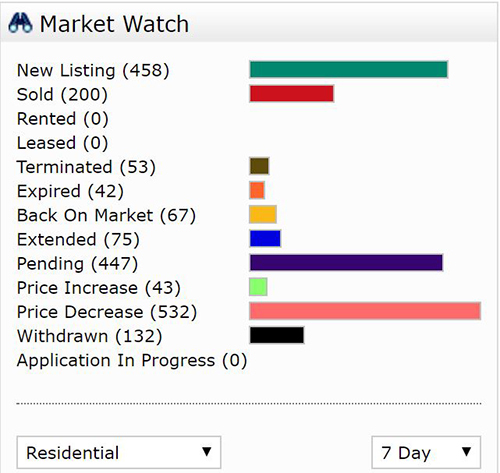 There are no sales in the last 4 months and yet there are 5 new listings within 4 months and 1 older than 4 months. None have gone pending either. We see price reductions, but they are all still significantly over priced. A few came on the market in the last 2 weeks and they are overpriced as well. Each seller is convinced that previous sellers have set the market. The reality is the first few sellers are like lost beacons in space, and each new seller follows their light. The problem is they’re going in the wrong direction and their buyers are in another galaxy. As soon as a seller puts their home on the market at the correct price, it will sell, if marketed correctly. All their neighbors will tell them they priced it too cheap, because they all want a higher price. This is human nature; however, it doesn’t help anybody. Just because everyone is overpriced, and no homes are selling in your neighborhood doesn’t mean a buyer will come along and overpay. After a while, buyers begin to ask what’s wrong with the neighborhood. All these homes are on the market and there are no sales. We’ve got a decent market here in Southwest Florida. If a home is priced correctly, there is a market. Unlike towns where a plant closing affects the market, we have buyers. The market has changed from last year. Buyers are ready, willing, and able, but they’re cautious. They don’t want to overpay. This is a sign that our market is fully recovered, as much as it’s going to, and that prices have leveled out. Now market forces take over, like interest rates, incomes, consumer confidence, etc. We are not in jeopardy of crashing like back in 2006. We will not see rapid price gains either. SW Florida has a balanced market dependent on market forces, and that’s an awesome thing. When you’re putting your home on the market, you must ask yourself. Am I pricing my home at today’s value, or pricing it compared to what my neighbor down the street is asking? We’d better go find some actual sales and base it off those who have won the home selling game versus those who want a certain number, or think their home is worth a certain number because that’s what their neighbor is asking. 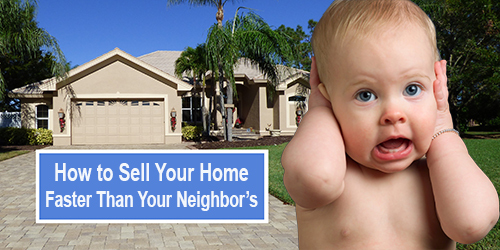 If you’re thinking of selling your home, call Sande or Brett Ellis 239-489-4042 Ext 4. We’ll give you the straight scoop. We’ll get you Top Dollar, and we’ll get it Sold. You’ll be moving on while your neighbors wonder if their house will ever sell. You can visit our website www.LeeCountyOnline.com to see all the homes in MLS. Call Brett and Sande and start packing! January 2018 sales numbers for Lee County were recently released and for the first time in a while median home prices dropped. Granted, the drop was only -.2%, however it underscores a larger picture. If you look at the home price graph for Lee County you’ll notice most of our price gains occurred in 2016. Since December of 2016, home prices are down. We had a few months better than others in 2017. If you look at where we started 2017 at a median price of $245,000 and where we start 2018 with a media price of $244,500 you can see we lost about $500. That’s nothing to worry about one way or the other. The takeaway from all of this is that you can’t price ahead of the market if the market isn’t moving. In a hot seller’s market, sellers could over-price today’s market and soon enough the market would catch the new price. It might take a few months, but when it does, you have a sale. In a declining market, you want to price ahead of the market as well. You never want to get caught chasing the market down. You price lower than the market and get out, because if you price at market and don’t sell the 1st week, you’ve missed it already. In a horizontal market like we have now, it’s important to find the market, price it right there, and market the heck out of the property. Only then will you know if you’ve properly priced it. If the market doesn’t respond, it’s not the marketing. People say price sells cars, and price sells homes. This is true, however we’ve seen instances where a home was priced correctly and just doesn’t sell. Adding aggressive marketing can make the sale. The absence of marketing increases the chances a home will sell below market. This is one reason For Sale By Owners sell for so much less than listed properties. They don’t have the audience a typical Realtor has, and certainly not the audience of an aggressive Realtor that markets. Because For Sale By Owners sell for so much less, they don’t save the commission. It costs them to sell on their own. When you’re interviewing Realtors, it’s important to note that all Realtors are not the same. Not all Realtors advertise in newspaper, yellow pages, Facebook, Google, Bing, Yahoo, online newspapers all over the world, Instagram, Google+, Zillow, Trulia, realtor.com, Homes.com, Instagram, and the list goes on. Maximum exposure equates to a higher sales price. Imagine you had an estate auction and 10 people showed up to bid. You’d sell some stuff. Now imagine you held the same auction, and 10,000 people showed up to bid. You’d sell all or most of your stuff, and the prices would be higher on much of it. Why? Because you attracted more people to bid. Full market exposure equals maximum market price. Anything less than that does not. And while the saying price sells homes is true, it’s only partially true. Anybody can give a property away. Only a few can sell it in record time at full market value. It pays to know what the market is doing so you know how to price it, and it pays to select the Best Realtor you can find to market it for all your home is worth. Buyers are doing their homework. We don’t have a declining market. We have a very stable market, and that’s always a fun time to buy and sell, if you do your homework. If you’re buying or selling, call the Ellis Team. 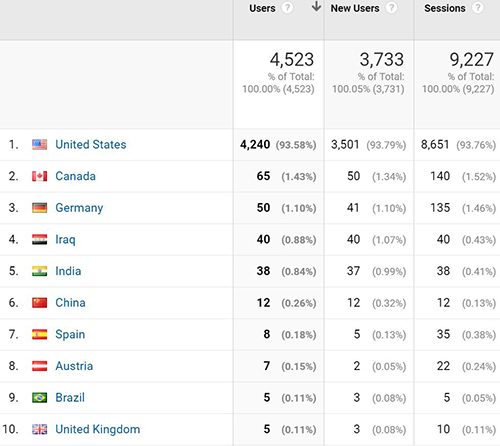 We have the latest stats as we study the market. We also have the marketing beef, so if you need your home sold fast and for top dollar, Brett and Sande are the ones to call. 239-489-4042 Ext 4. Or visit www.LeeCountyOnline.com to find your home in paradise, or find your home’s value.